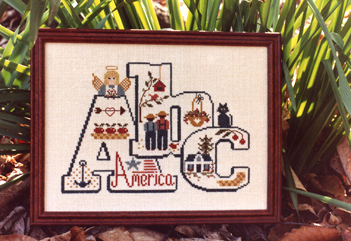 Counted Cross-stitch designs by Ann Taylor Nelson. 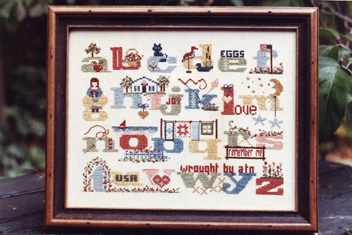 A lower case alphabet incorporates pictures, words and letters using soft colors and a standard size frame. A wonderful heirloom for any age. 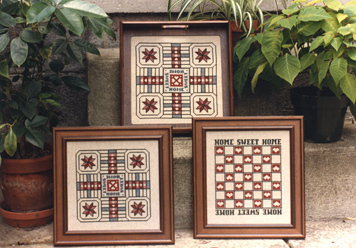 Two familiar gameboard charts are included in this package to work your way to "Home Sweet Home". They may be purely decorative when framed or functional when worked on #14 and inserted into a Sudberry Tray. Decoys is temporarily unavailable. Sorry! 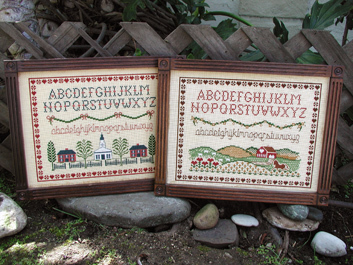 A really fun project to stitch and a great addition to any wall grouping. 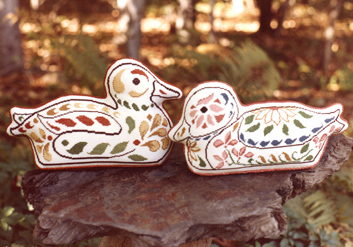 The soft colors make it adaptable to floba, davos, aida or linen. 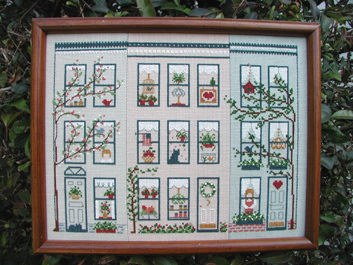 Individual row houses are worked on three different colored fabrics and stitched together with a simple backstitch before framing. A truly unique design. Two charming samples are included in this package. They look great on evenweave, but shown here on perforated paper.